The manuscript of the sermon was found crumpled up among his papers after he died. I believe Methodist historian Richard Heitzenrater has argued that this was the sermon he planned to give at Oxford on the day he preached “The Almost Christian.” Some friends of his, however, talked him out of preaching “True Christianity Defended,” as it called out many of his fellow ministers — some by name — for corrupting the gospel and undermining the church by their preaching. Relenting to their counsel, he wrote and preached the better known sermon, which Methodists and United Methodists have regarded as a standard of doctrine for close to 300 years. [M]any write and preach as if Christian holiness, or religion, were a purely negative thing; as if, not to curse or swear, not to speak or do evil, was religion enough to entitle a man to heaven! How many, if they go further than this, describe it as only an outward thing; as if it consisted chiefly, if not wholly, in doing good, (as it is called,) and using the means of grace! Or, should they go a little farther still, yet what do they add to this poor account of religion? Why, perhaps, that a man should be orthodox in his opinions, and have a zeal for the Constitution of the Church and state. And this is all: this is all the religion they can allow without degenerating into enthusiasm! So true it is, that the faith of a devil, and the life of a Heathen, make up what most men call a good Christian! Do you hear him calling us out for making it sound as if the sum of Christianity is to do no harm, do good, and use the means of grace offered in worship, Scripture, and prayer? Wesley was troubled — you might say outraged — by a dead formalism that he saw widely practiced as if it were true Christianity. What he argued for — throughout his life — was a religion that changed us from inside out. “Holiness of heart and life” was the phrase he used to describe the marks of true Christianity. This holiness did not consist of outward acts or restraint from evil, but in an actual transformation of our nature and heart. To be holy is to be a new creature, with a heart that is cleansed from all evil and a life that is animated by love of God and neighbor. 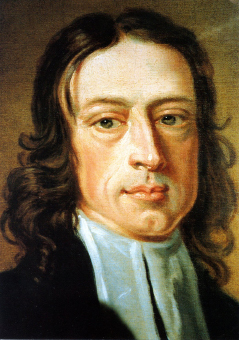 Christianity, Wesley preached and taught, is an inward change of our very being. Now, this inner change does lead to outward change. It is true that a person who is going on to perfection will refrain from all harm, will do good, and will be eager to worship God, pray, and read the Bible. But we err greatly, Wesley argued, if we mistake these outward things for the real thing. [T]he absence of the form [of Christianity] signifies much. It infallibly proves the absence of the power. For though the form may be without the power, yet the power cannot be without the form. Outward religion may be where inward is not; but if there is none without, there can be none within. In other words, you can look like a Christian on the outside but not be one on the inside, but you cannot live like a heathen on the outside and truly be a Christian on the inside. Although Wesley crumpled that sermon up, the spirit of it lived on throughout his ministry and challenges us still today. Do we preach a gospel of inward and outward holiness or a gospel of mere outward appearances? Posted on July 19, 2016 July 19, 2016 by John MeunierPosted in Christian life, Discipleship, Holiness, Methodism, UncategorizedTagged Christianity, Holiness, john wesley, Methodism, Reuben Job. What audience concerns itself with holiness today? I wish we were not so captive of our conceits, our obfuscations and exculpations. The Apostle Paul said he feared having to “mourn over many who previously sinned and have not repented.” That’s right–“many” have not repented, he says. We cannot confess our sins (except corporately in some elaborate royal pageant for the record). For example, we will not admit that the church has fallen into a dismal morass of sexual folly.